“Painting Joy”, Orvel A. Jones solo exhibit will be from July 22 – August 16 with an opening reception Saturday, July 22 from 4 – 7 pm at the Buenaventura Gallery. To see an Orvel A. Jones painting is to share in his joy of painting: his energetic brushstrokes along with his keen observation of nature infuse the viewer with a deep appreciation of his subjects. Born in San Diego and raised in California, Orvel finds that the energy and light of our beautiful state contribute to a quality of plein air painting that is quite unique to California. Orvel gives “credit to God for his direction. The two words ‘Paint Joy’ have a lot of meaning to me and I can only hope that this collection of paintings will stir the emotions of joy in others. Jones received his B.A. in Fine Art from the California State University, Northridge and a Masters from California Lutheran University. His studies under the guidance of Hans Burkhardt helped to develop a passion for expressing his emotions with bold brushwork and a loose, impressionistic style. Early works were quite contemporary and abstract that garnered numerous first place awards in the Forum of the Arts, Buenaventura Art Association and the Olivia Hathaway competitions for Ventura County. Jones taught elementary school for years before he became an administrator. He participated in a teacher exchange program that was part of the Fulbright scholarship program: his assignment took place New Zealand. The countryside in New Zealand provided Jones with many plein air opportunities in addition to teaching. His work has been exhibited at the Rose gallery, E.P. foster Library and Wright Library, in Ventura California. One man shows include the Fine Arts Gallery at California State University, Northridge, La Mirada Exposition, and a sell-out show at the Rayburn house Gallery in Whangari New Zealand. 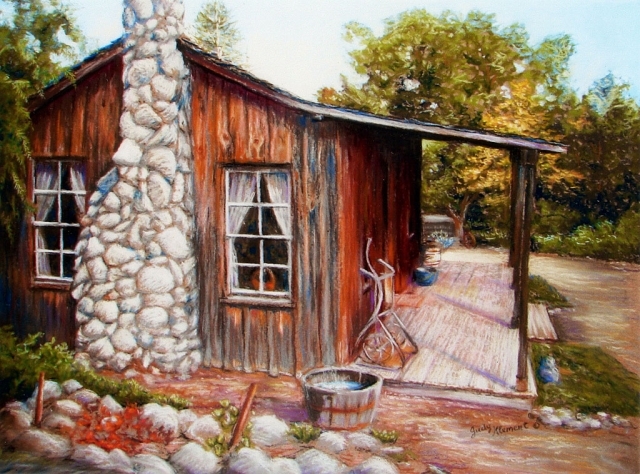 While he tends to favor California Landscapes his travels help him to develop paintings from sketches and photos from these trips. Over 40 years of experience with various mediums has helped to perfect his ability to play with the effects of light, shadow, color and texture to evoke an emotional response from his paintings. Orvel particularly enjoys painting en plein air and feels that some of his quick location paintings are among his best works. He prefers the rough, spontaneous approach to his paintings with further refinement happening in his home studio. "My loving family, God, good friends, a glass of fine wine, and painting come first in my life. I truly hope that a collector of my paintings can have the privilege of feeling and enjoying, not just the visual effects, but the warm emotions of a lifetime commitment to PAINTING JOY. The Buenaventura Gallery is located at 700 E Santa Clara St. in downtown Ventura. Hours are Tues – Friday from noon – 5 pm and Saturday from 11 am to 5 pm. For more information, visit their website at www.BuenaventuraGallery.org. OXNARD, Calif.—Channel Islands Harbor is holding Concerts by the Sea each Saturday from July 5 – Aug. 30. The free summer concert series from 4 – 6 p.m. is held at Peninsula Park at Channel Islands Harbor, next to the Casa Sirena Hotel and the Hampton Inn. Parking is free. Visitors can enjoy a wide array of musical styles including Jazz, Rock, R&B, Cajun, Zydeco, Folk and Oldies. For more information on Concerts by the Sea or the Channel Islands Harbor, visit www.channelislandsharbor.org or call 805-985-4852. Channel Islands Harbor serves as a center of recreation, boating, shopping and water sports activities. The harbor is home to three yacht clubs and nine full-service marinas that provide berths for 2,150 boats. It also hosts the Ventura County Maritime Museum. Located at Fisherman’s Wharf, the museum is a cultural center dedicated to the interpretation of maritime history through interactive exhibits and educational outreach. 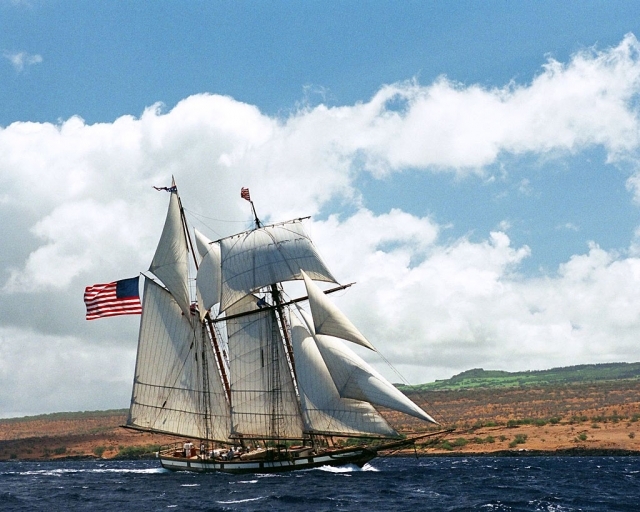 The Tall Ships Challenge begins in Canada and races along the Pacific Coast to end in San Diego. Channel Islands Harbor is the only stop between San Francisco and San Pedro. While at the Channel Islands Harbor, people of all ages can climb aboard the decks and relive the ships’ colorful history through docent stories. Battle re-enactment sails, a pirate camp, tours and educational programs are also part of the festivities. Visitors additionally can wander through the Ventura County Maritime Museum and enjoy food and beverages from the many vendors. Some ships visitors can explore include the Californian, the Official Tall Ship Ambassador for the state of California. Built in 1984, it is a replica of the speedy 1847 Revenue Cutter, the C.W. Lawrence. The ship is 145 feet long, 101 feet tall and with all nine sails flying, carries 7,000 square feet of sail. The Spirit of Dana Point is a traditionally built replica of a 1770s privateer employed during the American Revolution. The ship is classified as a 118-foot topsail schooner, with a sparred length of 118 feet and 5,000 square feet of sail. Cash ticket sales will be available at the festival. Credit card purchases can be made online at www.tallshipschannelislands.com and through Ticketmaster. For more information on the Tall Ships Challenge call the Channel Islands Harbor Visitor Information Line at 805-985-4852 or visit their Web site. Channel Islands Harbor serves as a center of recreation, boating, shopping and watersports activities. The harbor is home to three yacht clubs and nine full-service marinas that provide berths for 2,150 boats. It also hosts the Ventura County Maritime Museum. Located at Fisherman’s Wharf, the museum is a cultural center dedicated to the interpretation of maritime history through interactive exhibits and educational outreach. For more information on the Channel Islands Harbor, visit the Web site at www.channelislandsharbor.org or call 805-985-4852. Paula Castillo’s exhibit, Illumination will be at the Discovery Gallery from July 3 – July 31, 2008 with an opening reception on Friday, July 11 from 5 – 7 pm. “Illuminations” is Buenaventura Art Association’s first stained glass exhibit. Castillo includes lamps, mirrors and whimsical figures all rendered in varying colors and glass. Castillo has always been fascinated by how glass distorts light: the color, textures and variations are endless. 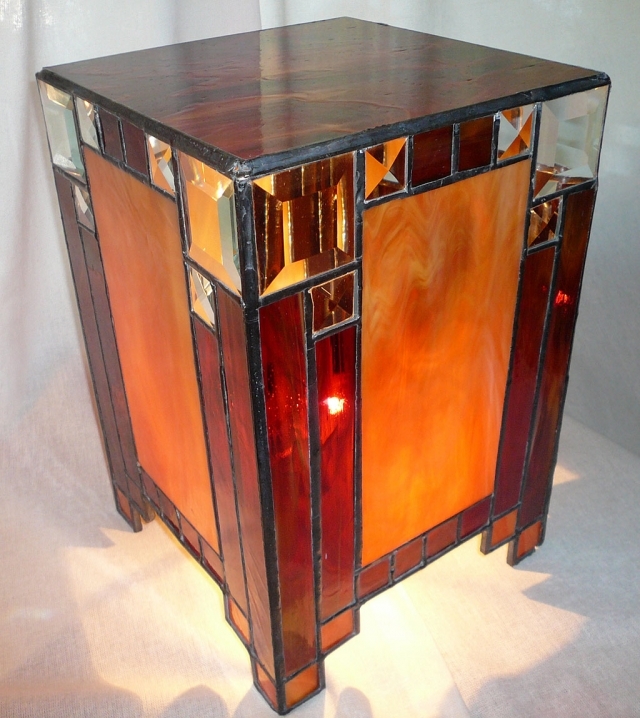 Her interest in functional art forms combined with her interest in stained glass led her to begin a series of lamps and mirrors. Taking her idea for a lamp from paper through the labor of construction is one of imagination as the end product is not evident until it is complete. After the last solder joint has been done and the polishing rag is put down, it is only when a light bulb is inserted and the switch is turned on that she can see the results. The true colors of the glass are rich with ambient hues and prisms of light dance on the ceiling. The vibrancy and contrast of the desert skies and colorful mountains in Castillo’s native Albuquerque are reflected in her work: the multi-cultural and ever-present art of her native New Mexico continue to inspire new ideas in glass. Castillo has explored various mediums including watercolor, acrylics and has spent much time doing intricate embroidery works. She took her first stained glass class in Los Angeles while living in Topanga and was immediately immersed. She began with the Tiffany foiled method of construction and has since begun using the leaded method of construction. Larger constructed pieces are generally made in the later method, however Castillo feels comfortable with both. She has helped numerous clients see a vision of art in glass deigns through her custom installations in many Southern California homes and businesses. Virtually all of her installations are original works of art created for the client. These include windows, doors, skylights, transoms and other decorative arts for the home. She has a particular affinity for modern design that is sometimes flavored with Native American and/or Art Deco elements. “I feel most inspired while designing abstract forms utilizing both the linear and curvilinear and inter-mixing them to create a journey for the eye”, says Castillo. “Because I have so many designs that are just waiting to come out, I rarely replicate a design, however I could easily make the same piece to look vastly different in other choices in glass. Glass can be opaque, translucent, semi-translucent, wispy, wavy, bumpy, bevel or multi-colored”. Castillo has shown her work at street fairs and demonstrations from San Luis Obispo to Los Angeles and has shown locally at various art galleries including: Café on A, Harbor Village Gallery, Camarillo Old Town Studio and Buenaventura Gallery. She is a member of the Buenaventura Art Association and is enthusiastically involved in many Ventura County cultural events. Castillo earned her Bachelor of Arts degree from the University of New Mexico. She is currently the Office Manager at Buenaventura Art Association. Paula currently resides in Santa Paula, California. Upon a Time, 24” x 30”, oil on canvas. Not Far From Here, Ron Zolkover’s solo exhibit will be from June 24 – July 19 with an opening reception Saturday, June 28 from 4 – 7 pm at the Buenaventura Gallery. Our beautiful coastal region is Zolkover’s inspiration for “Coastal Impressions.” An avid outdoorsman, (he owns a boat, sails the Channel Islands and surfs) he starts most of his paintings plein air. “I love the challenge of painting plein air – when I started one piece, I was up on a hill and was fascinated with the way the sun hit the vines. I started painting at the same time that a large storm was brewing. The wind was blowing my easel around and I was painting furiously with one hand holding a brush and one hand holding my canvas. The next day, I went back to the site, and all the leaves were blown off the vines!” Zolkover finished the piece in his studio. Zolkover has been heavily inspired by “The Oak Group,” a group of Santa Barbara artists that are both painters and conservationists. The Oak Group preserves undeveloped land on canvas and donates about ½ of their sales to various conservation groups in Santa Barbara and Marin County. Zolkover has taken some classes from their members as well as had numerous discussions with the members on painting. Talking comes easily to Zolkover – he is a salesman whose territory is the coastal region of southern and central California. “I had a goal to never live or work more than a mile from the beach,” said Zolkover. “I’m proud to say I’ve managed to keep that goal.” He is a native Californian and has lived on Silverstrand Beach for 20 years. I would like to inform you of a change of date for the Arthur Murray "Dancing Under the Stars" event. The original date was July 13th, 2008. We have moved it to August 24th, 2008. The location and time are still the same. It will be held August 24th, 2008 at 6:00 pm at Fess Parker's Doubletree Resort in Santa Barbara. Arthur Murray Dance Studio is hosting a celebrity dance competition called "Dancing Under the Stars" to benefit the Make-A-Wish® Foundation of the Tri-Counties. 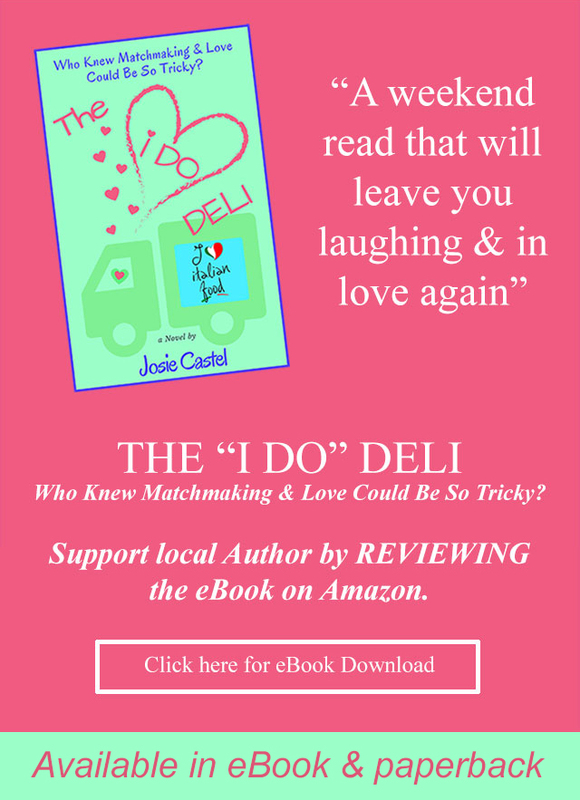 The event will be at Fess Parker's Doubletree Resort. The competition is similar to what is seen on Dancing With the Stars. It will consist of 6-8 local celebrity performers. The event will also include a silent auction of items to be donated by local businesses and organizations. All employees, including the director and the instructors, are donating their time. 100% of ticket sales and auction proceeds will be donated to the Make-A-Wish Foundation of the Tri-Counties. We are asking for your support to offset expenses in running the event. The Make-A-Wish Foundation is a nationwide non-profit organization with local chapters throughout the country. It was established in 1980 and has grown into the largest and most professional wish granting organization in the world. The goal of the Make-A-Wish Foundation is to grant wishes of children with life-threatening medical conditions to enrich the human experience with hope, strength, and joy. For more information about the Make-A-Wish Foundation of the Tri-Counties call 1-888-899-9474 or go to: www.tri-counties.wish.org. Last year was our inaugural event, and it brought in nearly $10,000! This year we have a lofty goal to double that amount. We can only do this with your help. 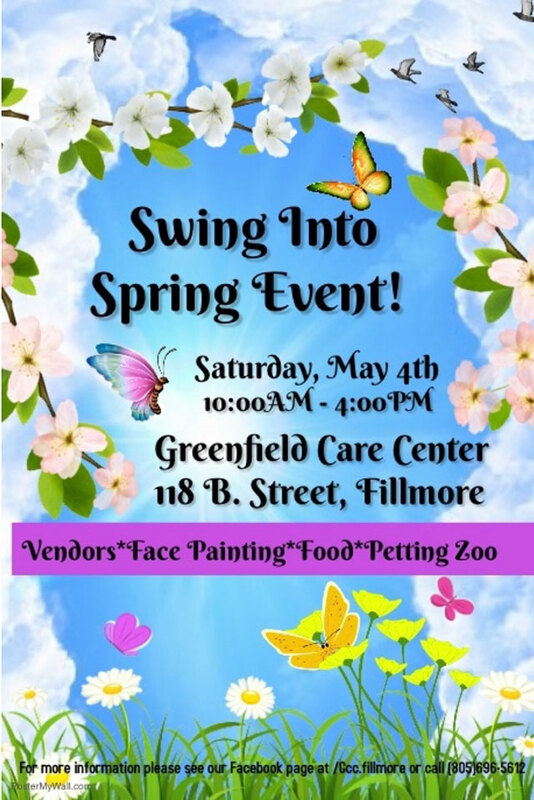 We look forward to seeing you at this great event! For more information contact Arthur Murray Dance Studio at (805)963-6658 or (805) 495-1445. VENTURA, Calif. – The Ventura County Fair is proud to announce the “Miller Lite Grandstand” entertainment line up for the 2008 Fair. Sunday, August 10- P.R.C.A. Rodeo. “Our concert series is the best opportunity for Fairgoers to see big name entertainment for the price of gate admission. There is something for everybody and it’s the best value this summer” says Barbara Quaid, Chief Executive Officer of the Ventura County Fair. First Fridays Ventura continues with a variety of exhibits and receptions for the public to attend. Every participating gallery/studio will have yellow balloons out front – so follow the balloons for an art-filled evening. New locations! Discovery Gallery – Pat Richards Dodds’ exhibit, Safe Harbor will be at the Discovery Gallery from June 6 – July 2, 2008 with an opening reception on Friday, June 6 from 5 – 7 pm during First Friday Ventura Gallery Crawl. Fox Fine Jewelry - Kathy Ikerd and Maudette Ball Fink will display their work at Fox Fine Jewelry in an exhibition from May 15th through July 14th, 2008. Kathy Ikerd spent 17 years traveling overseas with the military. The vibrant colors and elegant simplicity of the Far East left a lasting impression that often appears in her work. 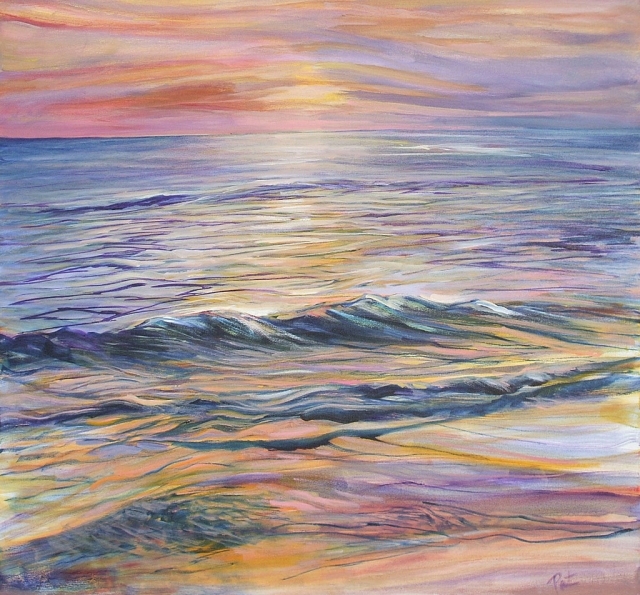 Kathy’s current work reflects a post-impressionist style and a heightened sense of color. 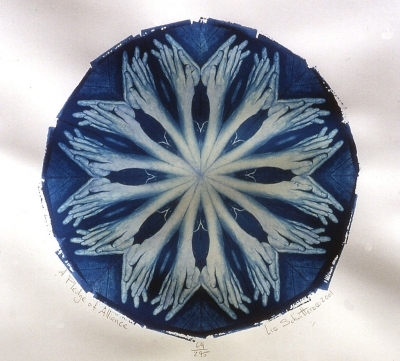 Maudette Ball Finck is both painter and printmaker, specializing in collagraphs and monotypes. Soft colors and close value relationships are characteristic in her work. She is influenced by the California coastline, gardens, environmental issues and the human condition. Career highlights include being the chairman of the City of Ojai Arts Commission. Fox Fine Jewelry is located at 210 East Main Street, in Historic Downtown Ventura, Across the street from the Mission. (805) 652-1800. Hours are Monday – Thursday, 10:30 – 6p.m., Fridays and Saturdays 10:30 – 10 p.m.
Red Brick Gallery - "Water World" May 12th through June 23rd. A journey above and below the ocean's surface has consumed the thoughts and creations of this group of artists: we invite you to view our version of the big blue, enjoy live music by Varon Thomas and sip some sangrias on June's First Friday. Red Brick Gallery 328 E. Main St. Ventura 805-643-6400 www.RedBrickArt.com. Sea Breeze Gallery - Our showcase artist is Lisa D. Moore with Interwoven Circles "A Cycle Of Works". Exploring the interconnections amoung Diatom's, Pillow Lace, Temari Balls, Orbital Paths and more. For the June 6th First Friday we are hosting performance skits by the Dames to Dutchess performance group. They will start at 7pm and perform a different skit on the hour and half-hour. 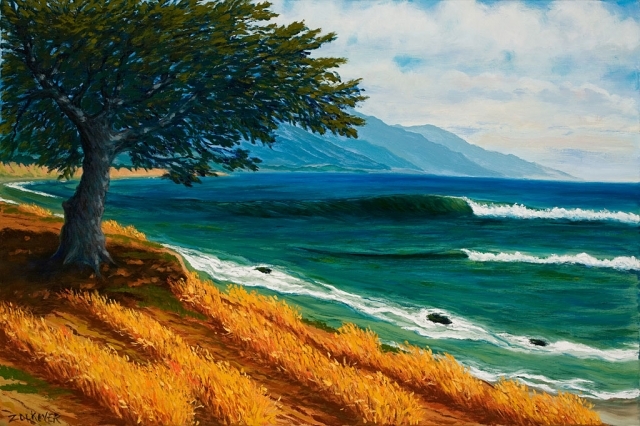 Sea Breeze Gallery 255 South Laurel Street , Ventura 805.643.3973. www.SeaBreezeArtGallery.com. Under the Sun Cultural Arts Gallery and Arts for Action is hosting “Una Noche de Otro-Arte” (An Evening of Other Art), a book reading by Canek Peña-Vargas, editor of the newly released book The Speed of Dreams,Selected Writings 2001-2007, Subcomandante Insurgente Marcos, and art exhibition dedicated to raising awareness about the Zapatista movement in Chiapas, Mexico. For more information regarding First Fridays Ventura, visit www.FirstFridaysVentura.com. Pat Richards Dodds’ exhibit, Safe Harbor will be at the Discovery Gallery from June 6 – July 2, 2008 with an opening reception on Friday, June 6 from 5 – 7 pm during First Friday Ventura Gallery Crawl. The incredible colors and patterns of the sky playing against the sea in New Zealand, Tasman Sea and Australian waters called a challenge to Dodds. 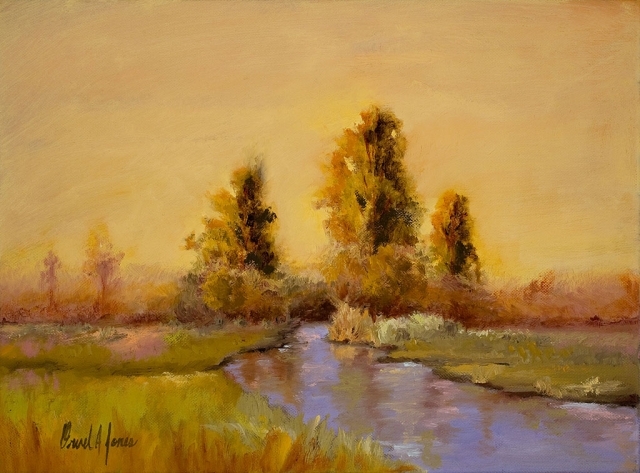 The brilliance of the colors drove her to experiment with a new palette and different oil painting products – her “comfort zone” or Safe Harbor had changed. This exhibit reflects those changes as well as the journey to her new Safe Harbor. Art has been a part of Dodds’ life since her youth. As a student at Santa Monica High School, Dodds had lessons in drawing, design, painting, ceramics, sculpture; nearly unheard of in today’s public schools. Dodds was awarded a scholarship to study life drawing at Chouinard Art Institute, and followed up as a Fine Art major at the University of Washington. After a hiatus devoted to raising a family, Dodds found herself on the short list of artists asked to be resident artists at an art organization called Studio 83 back in 1986. During this time Pat’s work evolved through the input of prestigious artist that included Gerd Koch, Hiroko Yoshimoto and Mary Michel. Though the group disbanded several years later, the value of the artist community resonated with Dodds. More than 15 years later, Dodds led the founding of a new art organization, committed to similar goals as the original Studio 83, but with plans for a much greater longevity. Studio Channel Islands Art Center provides more then 30 artists with a place to create, the continuing challenge that professional artist provide one another, and the chance to serve as the mentor that once served them. After a 20 year career as an executive banking officer, Dodds retired in 2006 to resume her passion as a painter. She is an Artist in Residence at SCIART. Dodds was recently one of featured artist in the 10th Anniversary exhibit at Studio Channel Islands Art Center. 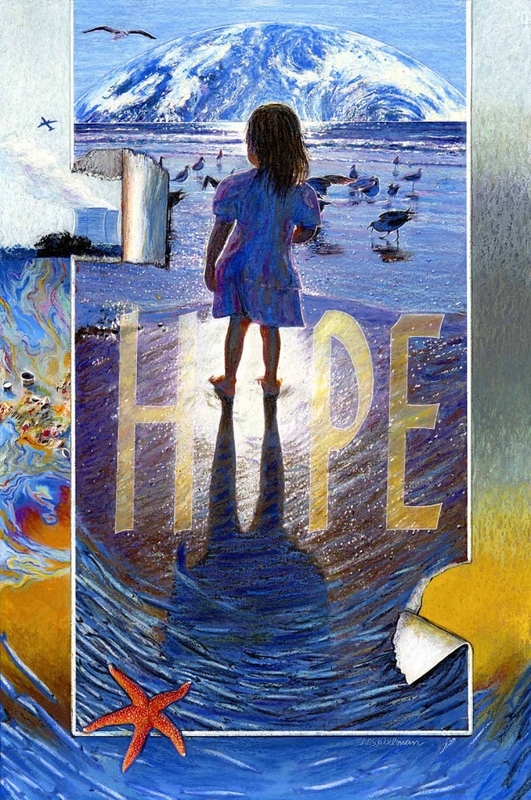 She was named Artist In the Community Award for the 2007 Ventura County Arts Council’s Art Stars Awards. Dodds has won numerous awards, including a scholarship to Chouinard Art Institute, the Theme Award at the Ventura County Fair, San Buenaventura Art Association, Thousand Oaks Art Association and SCIART Juried Members Competition. She won the Grand Prize and President’s Award in the 2007 SCIART Juried Members Show. Her work is in the private collections of Mr. and Mrs. David Nirenberg, Mr. and Mrs. J.P. Dufau, Patricia McCormick, John and Susan Kulwiec, Ms. Cindy Schwan, Sharon Clark Orfalea, Mr. and Mrs. Allen Cummins as well as others. Her exhibits include City National Bank, Ventura County National Bank, Affinity National Bank, Buenaventura Art Association, Ventura County Government Center, the Hillcrest Center for the Arts, The Ventura Artist Union, The Camarillo Chamber of Commerce, the 2006 and 2007 Camarillo Art & Jazz Festival, Studio Channel Islands Art Center and the Studio Gallery. 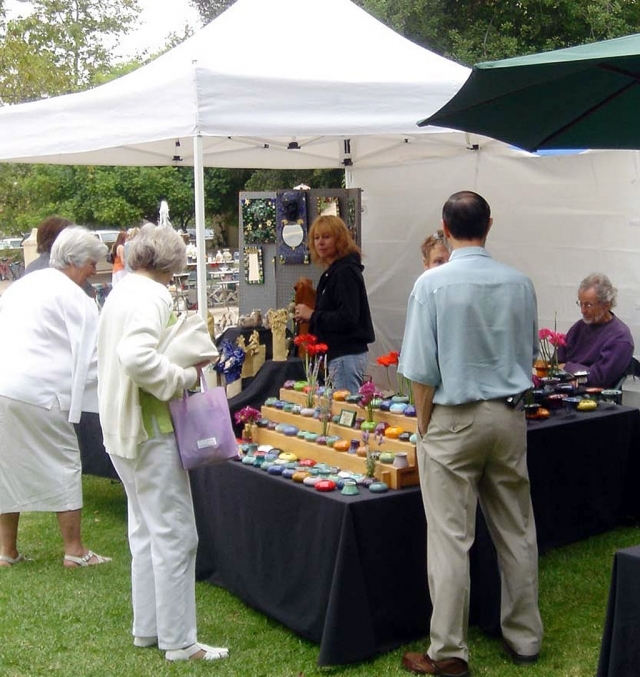 Ventura Potters Guild Artists will have their 49th annual show and sale in Ojai’s Libbey Park on June 7 and 8 from 9 am to 6 pm. Forty artists will display their latest ceramic creations ranging from functional pots to art pieces. “Our members produce functional and non-functional works in most of the available clay varieties (earthenware, lowfire, highfire, stoneware, porcelain) in sizes ranging from scale miniatures to large urns and sculpture pieces. Members bring a wide range of experience and abilities to the show.”, says Guild President Richard Franklin. Held in conjunction with the Ojai Music Festival, the Annual Show is a great opportunity to see what Ventura County artists are creating in clay. The artists will be on hand to discuss their respective methods and techniques. A percentage of all sales at the annual show goes to scholarships for deserving students at Ventura County Community Colleges and Santa Barbara City College. The Ventura County Potters Guild was founded in 1957 by local ceramic artists and teachers. It is a non-profit organization formed to promote the art and craft of ceramics in the community and to provide a forum for local potters to share their experiences and knowledge of clay. This knowledge is passed on through monthly programs with guest speaker presentations and member's show and tell, informative newsletters, workshops, shows, sales and a library that features both books and videos. 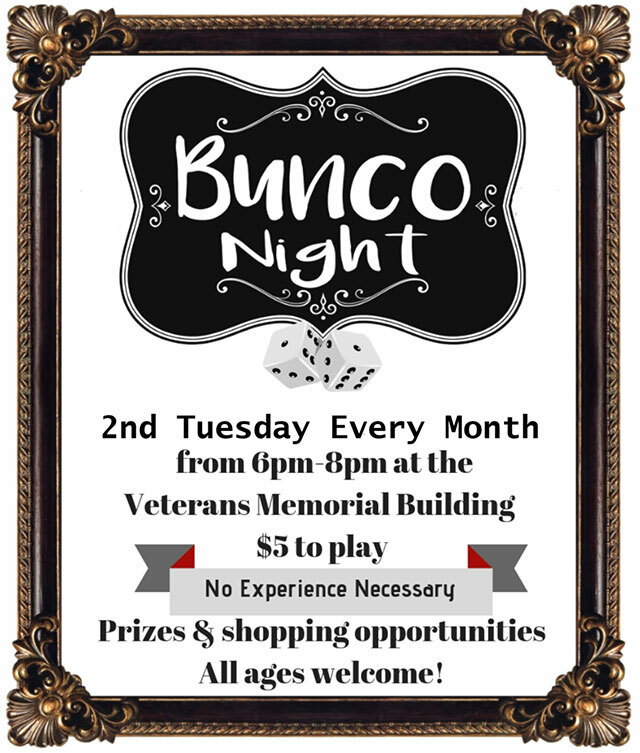 Guild meetings are held the fourth Monday of each month from September through May at the Ventura Senior Recreation Center at 420 East Santa Clara Street, Ventura, CA. For more information contact Patti Hallowes, phallowes@msn.com or go to www.vcpottersguild.com. “Mid Morning Under The Eucalyptus” Oil On Canvas. Scott Wynn’s exhibit, “Central Coast Visions” will be at the Buenaventura Gallery from May 27 to June 21, 2008 with an opening reception on Friday, June 6 from 5 – 8 pm during First Friday Ventura Gallery Crawl. Wynn’s images evolve from the life long photographer’s eye which he uses to express his view of California landscapes. A native of Southern California, Wynn, has watched the countryside change from rural landscapes into urbanized developments altering the views he remembers of his youth. The oil paintings in “Central Coast Visions” evoke dreamy memories of an innocent and untouched California backdrop and effectively correspond with Wynn’s fascination in the unbelievable power of nature. The multi- step process the artist uses to achieve his images begins with a composition constructed from one or more photographs. After working the layout on paper and on the computer, he begins to paint with layers of transparent pigment and color from an idealized memory of his subject. 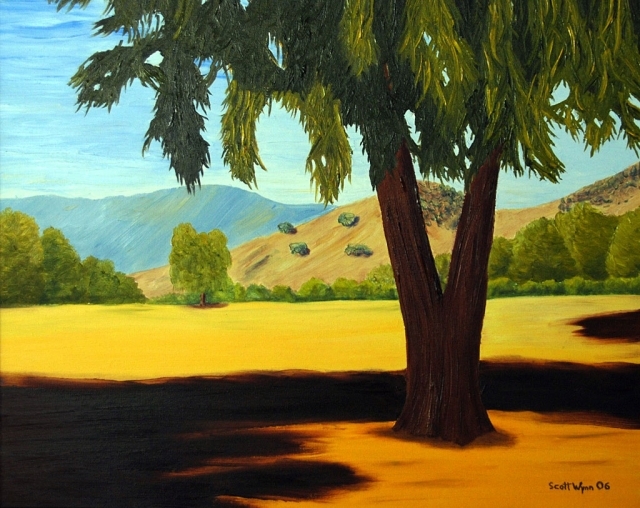 This will be Wynn’s first Solo Show with the Buenaventura Art Association, but he has exhibited works in many venues including Santa Paula Art and Photography shows, Maritime Museum exhibits, LA and Ventura County Art Festivals and has received awards from the Buenaventura Art Association and the Ventura County Fair Professional Artist Competition. The Buenaventura Gallery is located at 700 Santa Clara St., Ventura, California, 93001 Phone: (805) 648.1234 .Hours: Tuesday to Friday 12-5 pm .and Saturday 11 – 5. For more information, visit their website at www.buenaventuragallery.org. Enjoy day tripping, but not the driving? Consider a Museum of Ventura County motor coach trip this summer. The first, on Tuesday, June 3, explores the newly opened Broad Contemporary Art Museum at Los Angeles County Museum of Art (LACMA), and the other on Wednesday, July 16, tours the exotic gardens of Lotusland in Montecito. Both day trips originate in Ventura. The Los Angeles trip on June 3 includes a one-hour docent led tour of the Broad Contemporary Art Museum, and incorporates time to plan your own lunch and explore LACMA’s other exhibitions and galleries. The cost is $45.00 for museum members, $55.00 for non-members. The trip to Lotusland in Montecito on July 16 includes a guided tour of the exotic gardens at the 37-acre estate of the late Madame Ganna Walska. A picnic lunch at nearby Manning Park is included. Cost is $65 for museum members, $75 for non-members. Space for both trips is limited. 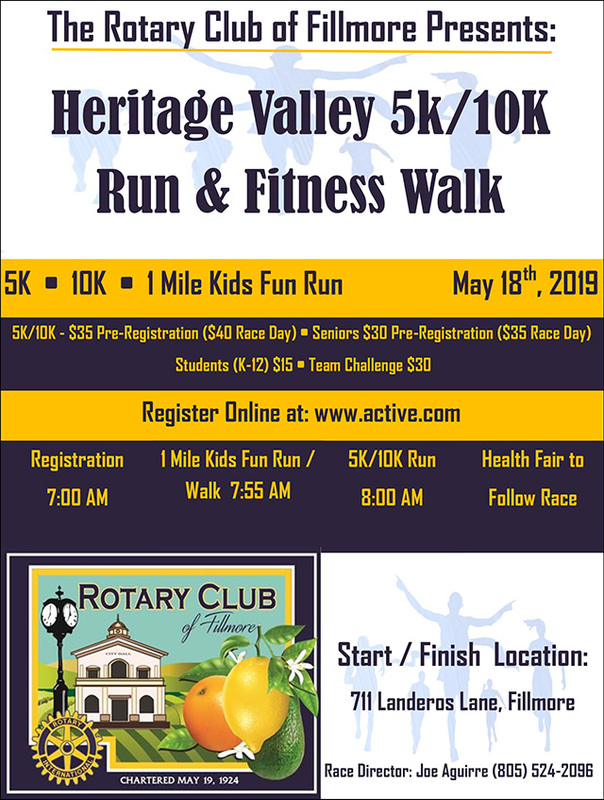 For further information, including start and return times, and to make reservations, call Jennifer Mackie @ 805-641-1876 ext. 305. Three contemporary photographers who use 19th century techniques will exhibit their work at the Museum of Ventura County from May 21 through July 6. Lis J. Schwitters, Isabel Gomes and Lawrence Gund will also give a presentation on Saturday, May 31, at 2:00 p.m., to talk about why they have looked to the past for alternative inspiration. 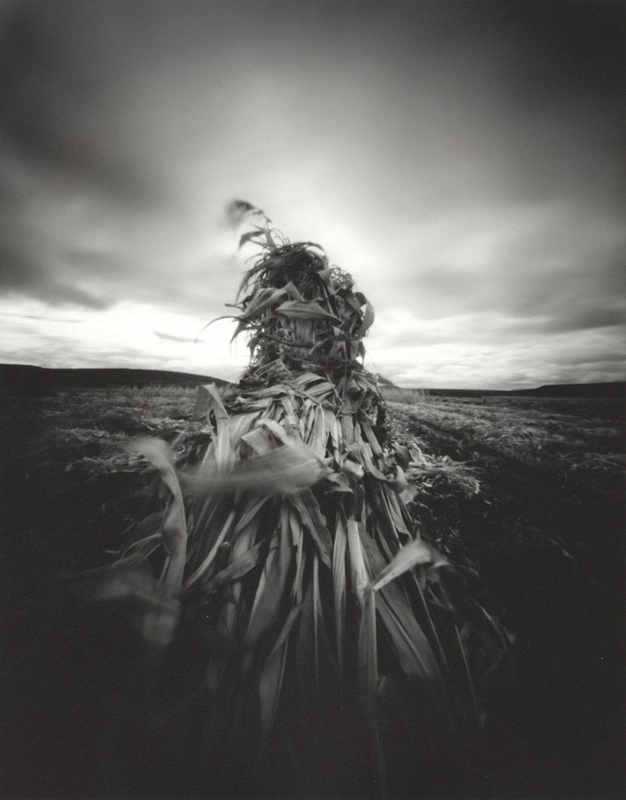 Their work includes classic methods such as tintypes, pinhole photographs, cyanotypes, and Van Dyke prints. This exhibit compliments the concurrent The Past on a Plate: The Photographs of John Calvin Brewster, running through August 17. Brewster was Ventura’s first professional photographer, and his images from glass plate negatives captured Ventura County life from 1874 until his death in 1909. The Museum of Ventura County’s location during renovation construction is 89 South California, near the corner of California and Santa Clara Streets in downtown Ventura. The museum is open Friday from 11 a.m. to 8 p.m., Tuesday through Thursday, Saturday and Sunday from 11 a.m. to 6 p.m. Free admission, except for some events. For information, please call (805) 653-0323 or go to http://www.venturamuseum.org. VENTURA -- The Ventura College Dance Department’s spring show, GOLD, celebrates award winning music, cinema, and stage performances. Through dance and song the audience will relive Grammy, Academy, and Tony recipients. GOLD will please all dance lovers with a full range of genre, including ballet, modern, jazz, hip hop, ballroom, and tap. For music enthusiasts, there will be live performances from some of the county’s best vocal artists. GOLD will be in the main theater at Ventura College Friday May 16th at 8:00 pm, Saturday May 17th at 8:00 pm and a 3:00 pm matinee performance on Sunday May 18th. This original dance production is the artistic creation of the students in Dance 30, a course offered at Ventura College to give students real experience in choreography and performance. GOLD is directed by Becky Contreras, in conjunction with assistant director Darshana Chima. Dance numbers will include performances to well-known music from such movies and musicals as Gone with the Wind, Doctor Zhivago, Chariots of Fire, Casablanca, Love Story, Zorba the Greek, An American in Paris, Chicago, The Godfather, Titanic, Wicked, Grease, Guys and Dolls, Dream Girls, Lion King, Schindler’s List, the Wiz, Movin’ Out, and Hairspray. Music will include pieces from Fiddler on the Roof, West Side Story, Sound of Music, Man of La Mancha, Camelot, Cabaret, Big River, Phantom of the Opera, Miss Saigon, and South Pacific. Janesse Alcaraz, Karen Alfaro, Yulianna Alfara, Yadira Barboza, Jannely Becerra, Isaias Castillo, Latika Castillo, Glacy May Guijo Juan Carlo Gutierrez, Rudy Larrazolo, Erika Lopez, Jocelyn Liu, Ashley Martinez, Jessica Parizo, Rafael Rameriz, all of Oxnard; Alyse Herrera, Linda Isaac, April Rose Muentz, Shelby Schneider, Olivia Valdellon, all of Ventura, Eddie Martinez of Santa Paula and Micelle Muentz of Cape May, New Jersey. Danielle Barrette of Fillmore was also in the cast until her death in a car accident last week. The cast is continuing with the scheduled performances in her memory. All tickets at the door will be $10.00. Pre-sale tickets are $10.00 for general admission, $8:00 for students, seniors, and faculty members. For more information, or to order tickets contact Becky Contreras at 805-207-5877. 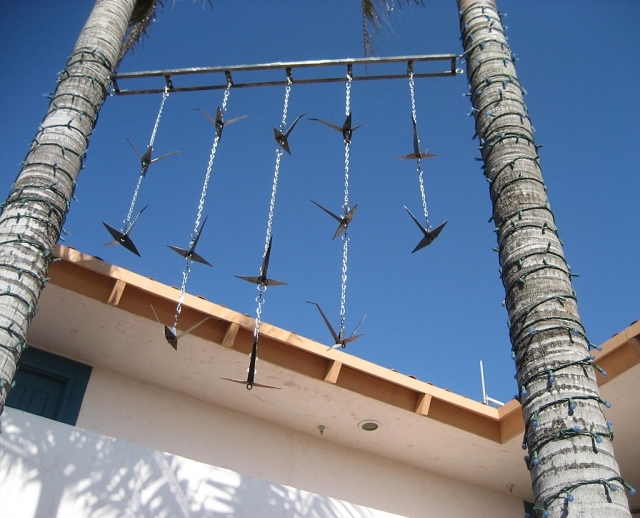 Buenaventura Art Association artist Christine Beirne created and donated a kinetic sculpture for the Ventura Harbor Village titled “Seeking Peace.” The piece is mounted between two palm trees in the planter in between the Harbor Village Gallery and Hi-Cees restaurant. Beirne is the Executive Director of the Buenaventura Art Association. 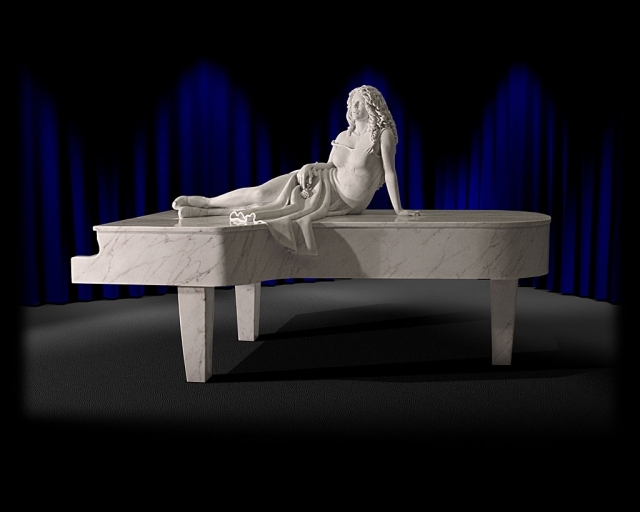 She studied sculpture with Ellis Jump at Ventura College and Matt Furmanski at CSUCI. She studied welding with Michael Clarke at Ventura College. The Harbor Village Gallery is located at 1591 Spinnaker Dr , Suite 117C, (before the big lawn) Ventura, California, Phone: (805) 644 – 2750. Hours: 12 – 6 pm. Closed Tuesdays. Judy Klement’s exhibit, “California Places and Faces” will be at the Buenaventura Gallery from April 29 to May 24, 2008 with an opening reception on Sat, May 3 from 4 – 7 pm. In addition, a champagne artist preview will be held during First Fridays Ventura Gallery Crawl on Friday, May 2 from 5 – 8 pm.